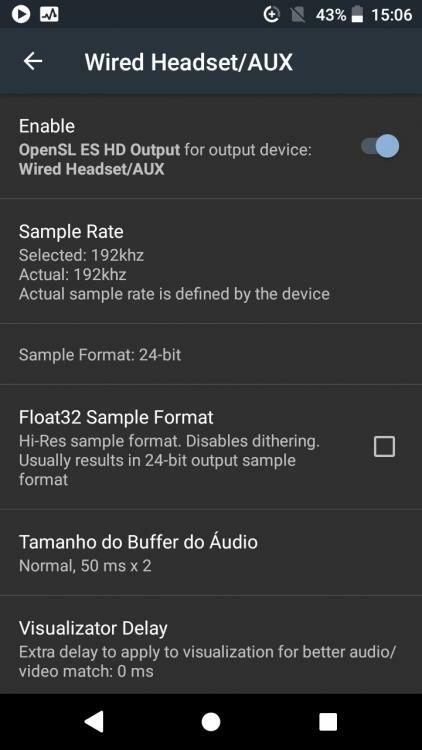 Does anyone know if Pixel 2 supports Hi Res audio? This is what I get on mine. That's been like that for a few years of beta releases, it should read "Scan Status". All it does is show an in-progress icon on the status bar while the scanner is working. I guess there's not much point in fixing it in the 70* testing fork now, as I don't even know if it will be there at all in v3. 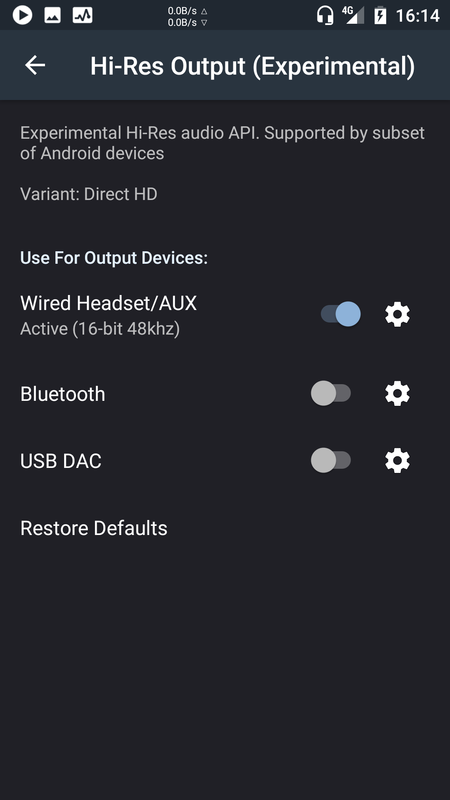 Also there was only usb dac option in hi res for my moto g4 plus .. been trying to find if it supports hi res but could find any material on it.? Why The volume controllers are set to casting.. ! Also, long press Volume keys to Change Songs while screen is off still didn't work.. Though, It's working in build 790. 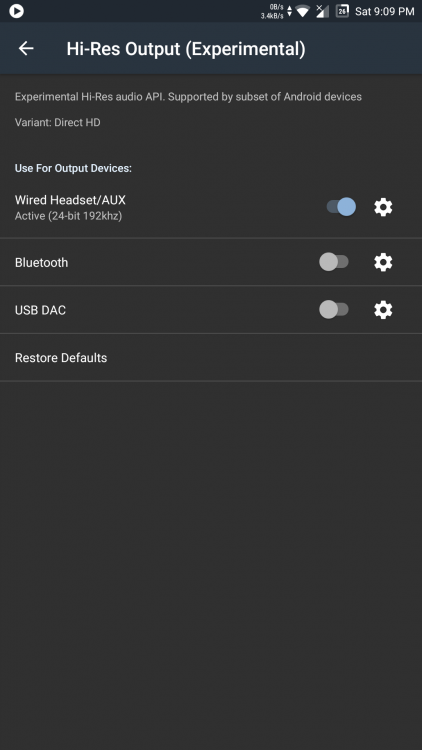 On OREO & Xiaomi Redmi 4X(Santoni). @maxmp As with the beta, as with the alpha I have BT control issues. I'm using Audio-Technica ATH-AR3BT headphones with aptX on the Nexus 6P with Android 8.1. The controls don't work with OpenSL and OpenSL HD enabled. Switching to AudioTrack output and back to OpenSL helps, but it only lasts for so long until it stops working again. Turning off absolute volume and DVC has no effect. Can you investigate this issue? I'd be happy to provide additional info, if necessary. when beta with feature complete and new ui will be released? One odd thing is i get better audo quality on the 790 rather than the 705 on opensl es hd output... and my Moto G4 plus probably doesnt have hi res support but still i am experiencing this? Can i ask if this is already enabled?? Do you have "Volume Levels (Experimental)" set to something other than "System Default" (under Audio -> Advanced Tweaks) ? That option will do this. Ahh, thanks. Now that you say it, I've probably seen the answer before. It's been too long since I installed an update from the forum and my memory failed me. How do I increase buffer sizes and/or thread priority with this 705 alpha release? Thank you very much @maxmp ? I think the Hi-Res mode is finally working as it should ? Interesting, as BT controls are decoupled from audio itself (both in Poweramp and in Android subsystems). I will try to investigate that. Hi-res start to work at android 7 but one bug present. 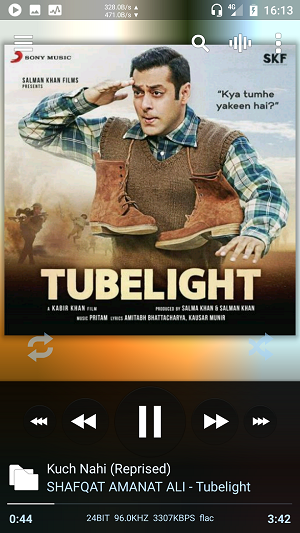 After short notification DVC stop works. If I press pause for example start to work again. Possible press + or -but sometimes I need press several time (look like work system 16 levels only, I use 50). I'm missing the OpenSL ES HD output. I was so happy I could finally check to see if the new output actually works on this device or not since I could barely feel any difference. 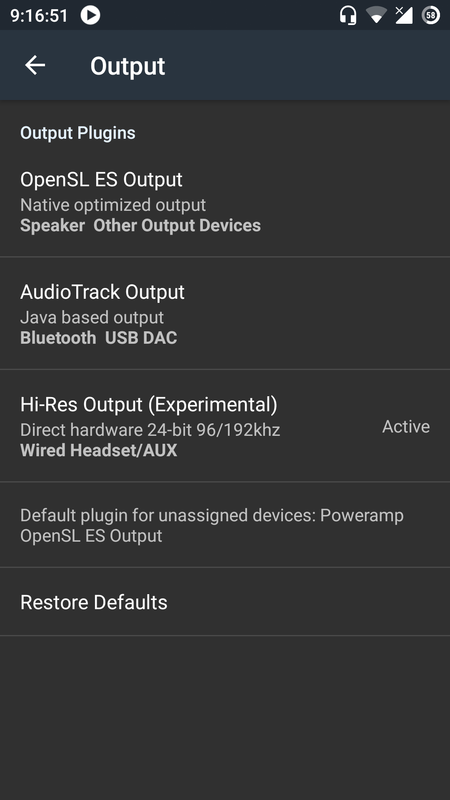 I have hires experimental output instead, but not the snapdragon 24-bit pcm one. And again, I can't feel any difference compared to default OpenSL output ? 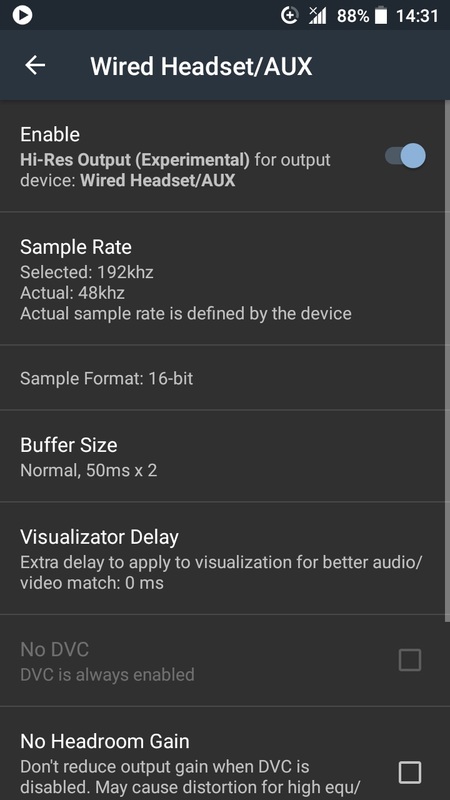 Google branded phones (Nexuses, Pixels) don't generally support Hi-Res on internal DAC (i.e. for wired headset), this is only due to the software limitations - hardware is perfectly capable. To support Hi-Res e.g. on Snapdragon SOCs (Pixels are on Snapdragon), some specific Qualcomm patches should be applied to Android codebase, but as Google releases fresh new codes on these devices, no Qualcomm patches exist at the moment of the ROM release - Qualcomm needs some time to analyze and change their codebase for the new Android release. 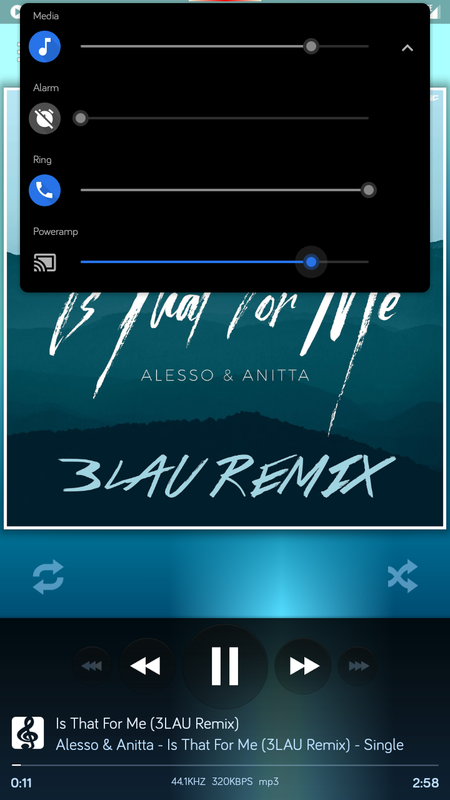 Also, I think Google wants to keep their Pixel ROMs as clean and close to AOSP as possible, at least on low level. Hi-Res is still supported in areas, where no such specific patches are needed - BT/LDAC and USB DACs. Thank you for the update. You made my day. 1. 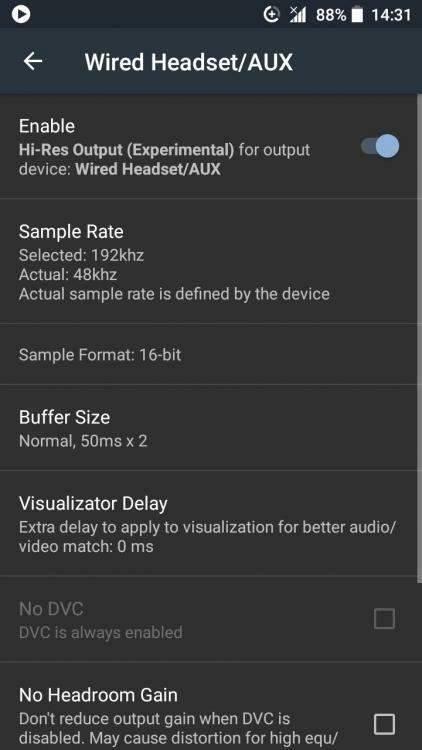 My ROM doesn't actually support Hi res output for headphones and although 790 is showing it the output isn't actually hi resolution? 2. 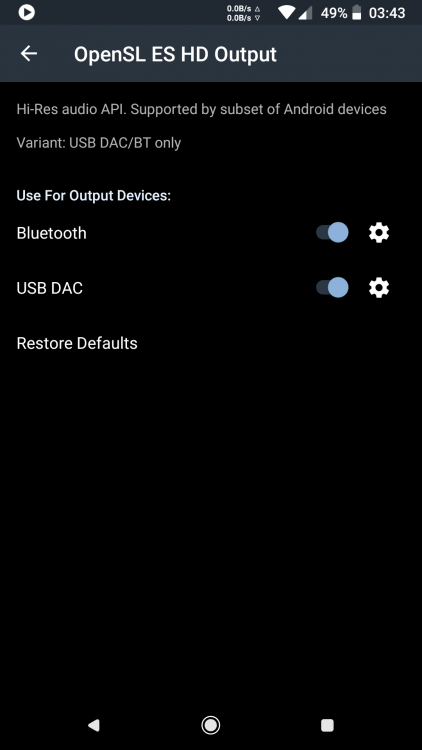 I better start begging the developers of the ROM my phone is currently on to do a little bit of magic [aka add all the Qualcomm additions (Alchemy-CAF code)]? Thanks again for v 705! this is what they asked for during the year. 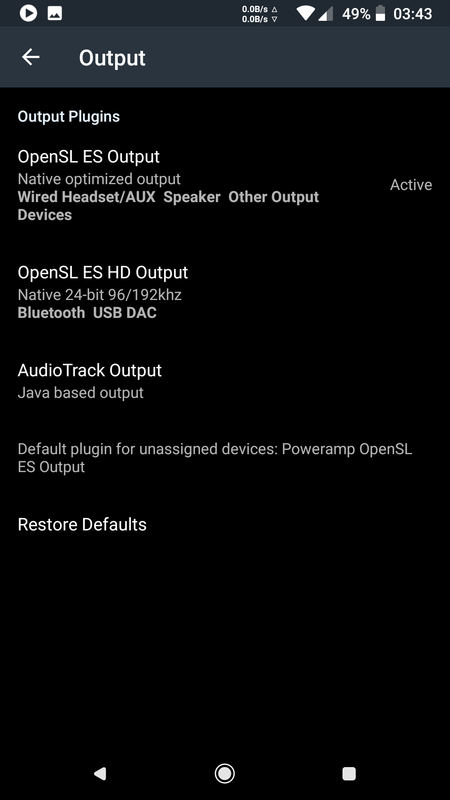 The oneplus 5T exclusively works, an excellent interface. What prevented to release this last May?